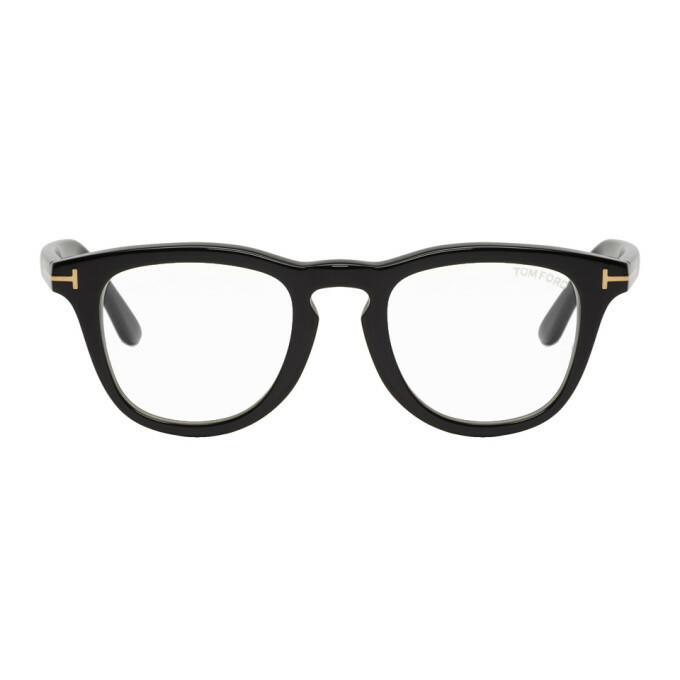 Tom Ford Black TF 5488B Glasses $400.00 Round acetate optical glasses in shiny black. Keyhole bridge. Signature hardware at hinges and temple tips. Integrated nose pads. Rose gold tone hardware. Size 49.23 145.